In his hilarious, gritty, and touching debut, Bill Keenan a hockey star once on the fast-track to the NHL tells of how he overcame multiple obstacles to find fulfillment and redemption in the strange world of European minor-league professional hockey. Keenan's hockey obsession begins as a five-year-old on Lasker Rink in New York's Central Park "love at first stride," as he calls it. He then becomes the youngest, and skinniest, player on the New York Bobcats, a Junior B hockey team. Later, after his hockey career at Harvard doesn't end as planned with a fat NHL contract Keenan decides to play in the minor leagues in Europe, where the glamour of professional sports is decidedly lacking. 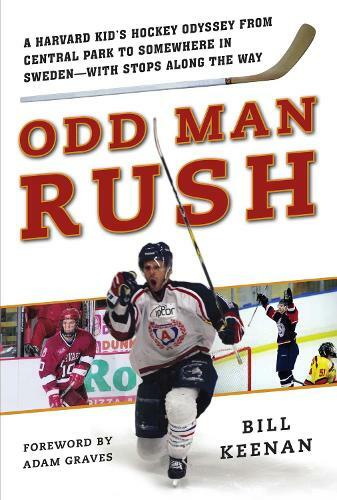 Part fish-out-of-water travelogue, part coming-of-age memoir, Odd Man Rush will capture the interest of not just hockey fans, but also fans of good writing. Throughout, Keenan's deep affection for the game shines through, even as he describes fans who steal players' clothes from the locker room or toss empty beer cans onto the rink after games. Abusive fans, cold showers, long bus rides nothing diminishes his love for the sport. "Because that's the way it works with me and hockey. Even when it's horrible, it's wonderful."